Turn your old clothes into cash for Essex SAR! 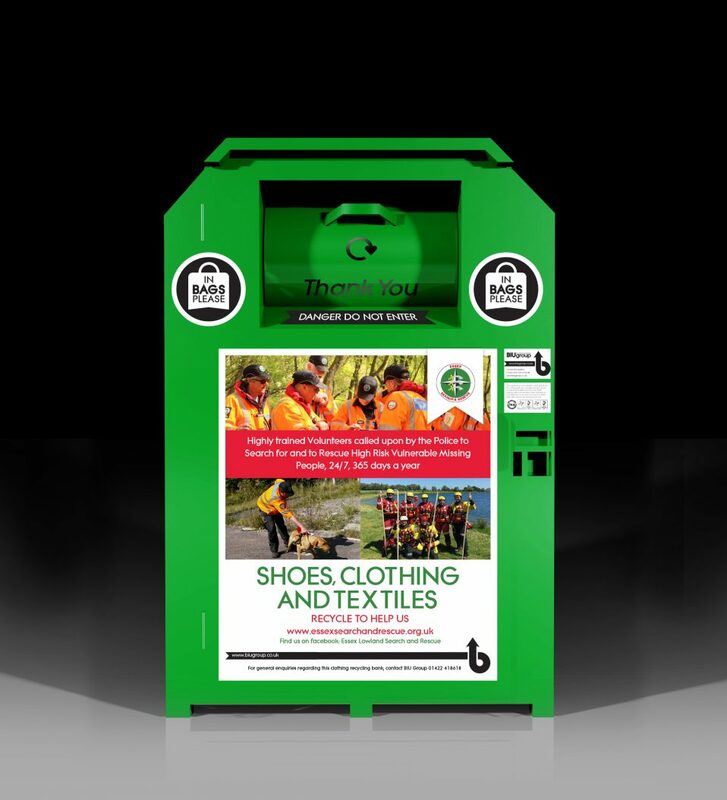 Essex SAR is very pleased to announce it has signed an agreement with BIU Group, the leading UK textile recycler, to locate nearly 40 clothes recycling bins around the county. From 1st November 2017, members of the public are able to support the charity by donating unwanted clothes, shoes, and textiles into one of the bins. Donations are then sold by BIU, with EssexSAR taking a share of the proceeds to provide much needed funds to help run the charity. Find out more here. If well supported, this has the potential to form a significant income stream for us, so please take the time to look through your wardrobes! Having a clear out and have clothes to donate? Find your nearest recycling bin here. New locations for bins, particularly in the Basildon, Brentwood, Castle Point, Epping Forest, Maldon, Southend on Sea, Tendring, Thurrock, and and Uttlesford council areas, are always of interest. If you are an organisation, council, or business with a publicly accessible car park, and are interested in hosting a bin, please contact us and we’ll put you in touch with BIU Group! We are the Essex Search and Rescue team, assisting the Police searching for vulnerable missing people such as young children and those with dementia. Your ticket for the: Turn your old clothes into cash for Essex SAR!